Ford of Europe will officially unveil all the variants including the courier van of the Tourneo Custom Concept at the Geneva Motor Show. 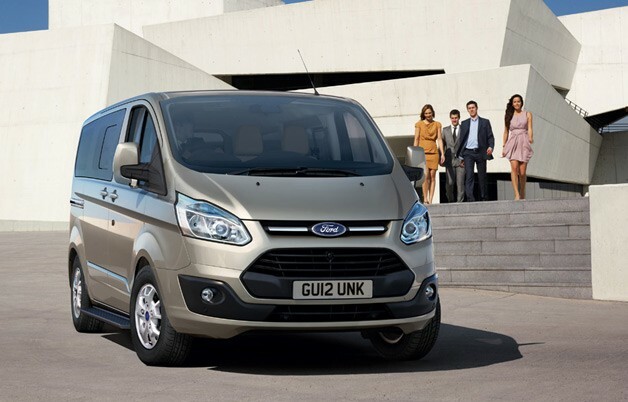 The Tourneo won't be coming to the United States, but according to Ford, it's part of the automaker's plan to refresh its entire commercial vehicle lineup by 2014. This front-wheel-drive van is available in both short- and long-wheelbase versions (measuring in at 195.7 and 210.2 inches in overall length, respectively), and can be had in either eight- or nine-passenger configuration. Ford also touts the Tourneo's car-like interior with its "stylish, sculpted driver-focused instrument panel," as well as onboard tech like SYNC, a rear-view camera, lane-keeping assist and driver alert. Under the hood is an updated version of Ford's 2.2-liter Duratorq inline-four, offered in 99-, 123- and 153-horsepower variants, all of which are paired exclusively to a six-speed manual transmission. There's also auto start/stop on board, meaning the Tourneo can deliver a combined fuel economy rating of 6.9 liters per 100 kilometers – about 34 miles per gallon on the U.S. cycle. Tourneo vans would be the second one besides EcoSport that will be unveiled at Geneva Motor Show. 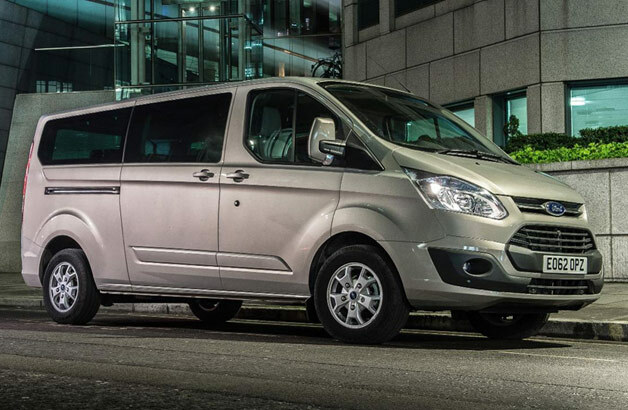 Do you think Ford should launch Tourneo vans in India as a rival to Nissan's Evalia and Toyota's Innova as MPV vehicle besides launching EcoSport as Compact SUV ?